The girls got to fly for the first time. They were so worried about taking off and landing. It was actually a breeze getting checked in and loading. We all got to sit together which was my main concern. 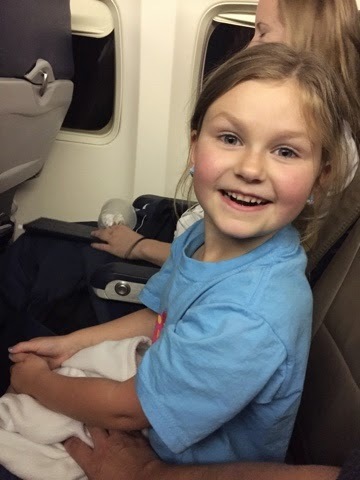 By the end of the flight Ella Kate was raising her hands in the air like a roller coaster ride. 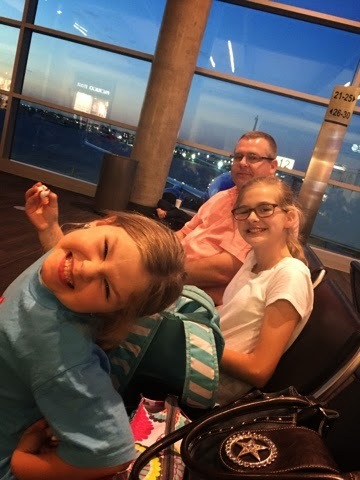 They loved it and can’t wait to fly back. Although they are ready to stay and visit for a while with family. It has been good. We are all excited about the wedding. I can’t believe my little brother is getting married. It will be beautiful! Can’t wait to share it with all of you!